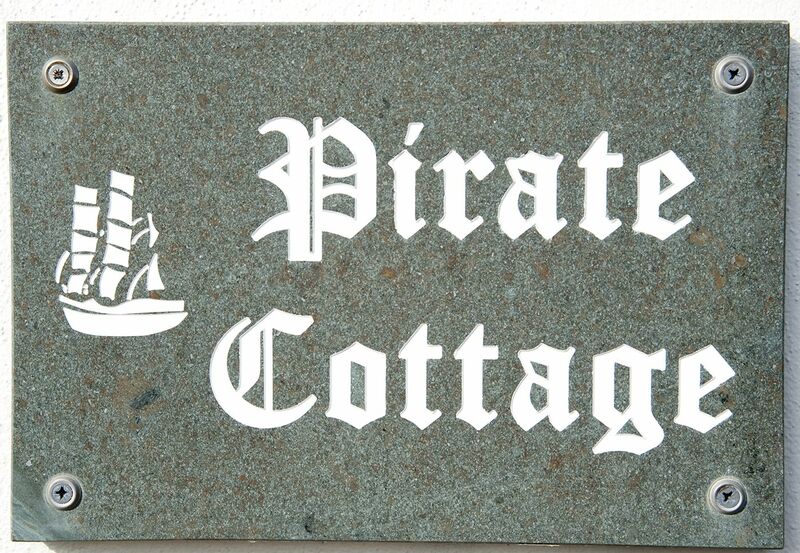 Pirate cottages is located just few metres from the village inner harbour and offers lovely views and an elevated sun terrace at the rear. 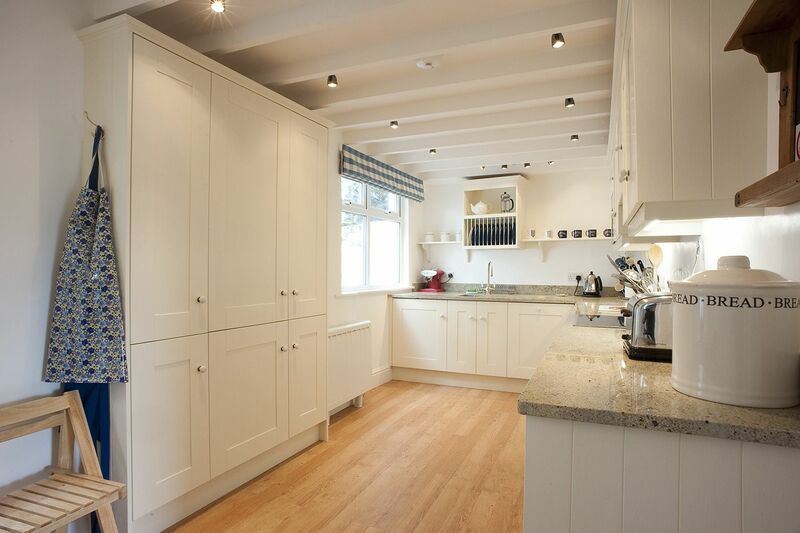 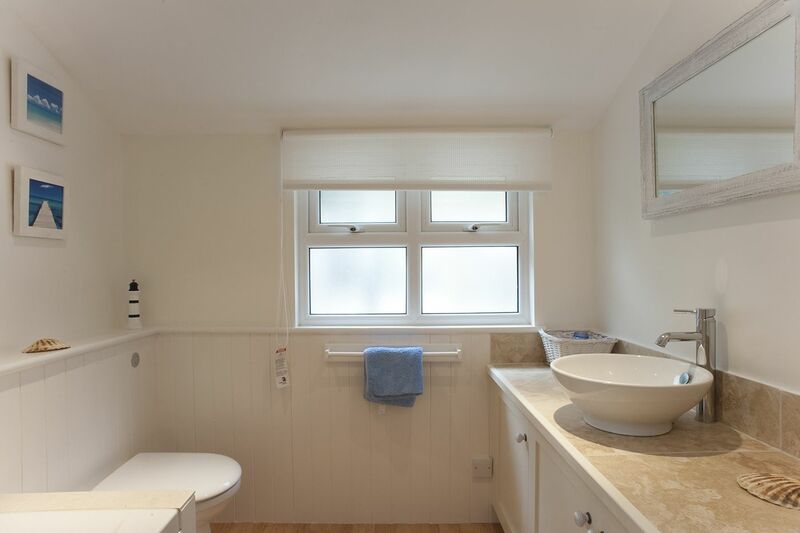 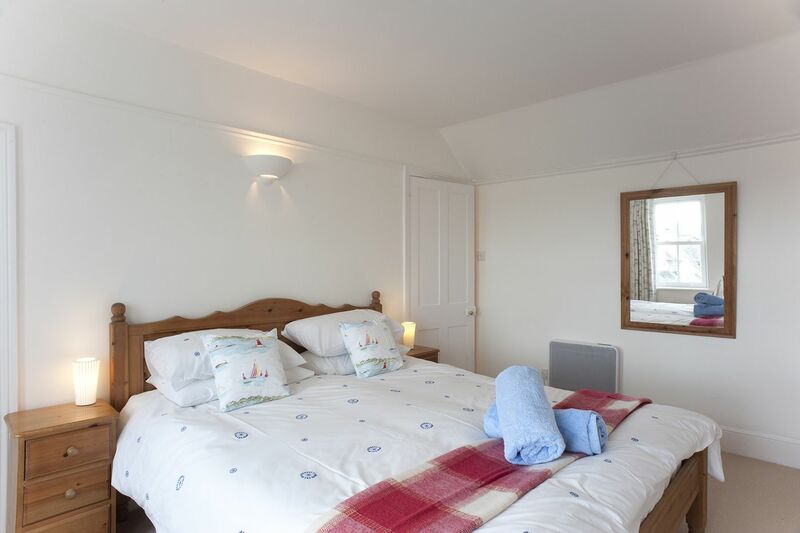 The cottage sleeps 8, 3 bedrooms in the main house with 1 bedroom in the annex, and is ideal for families. 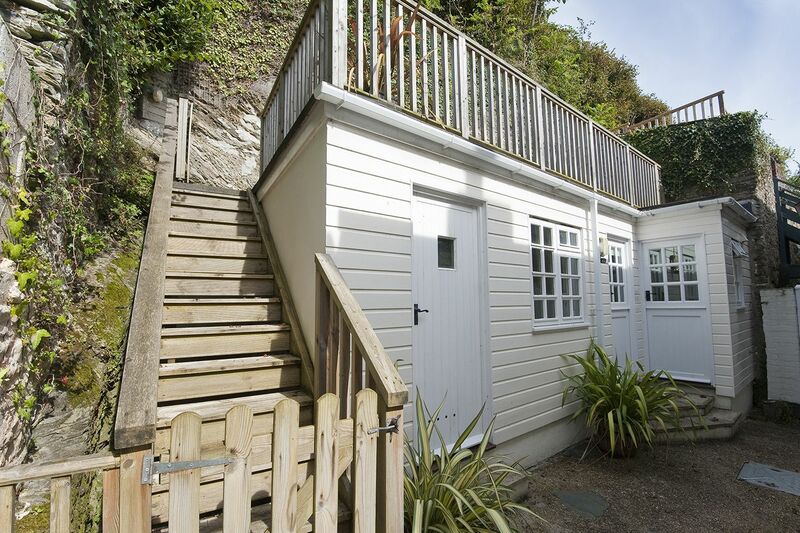 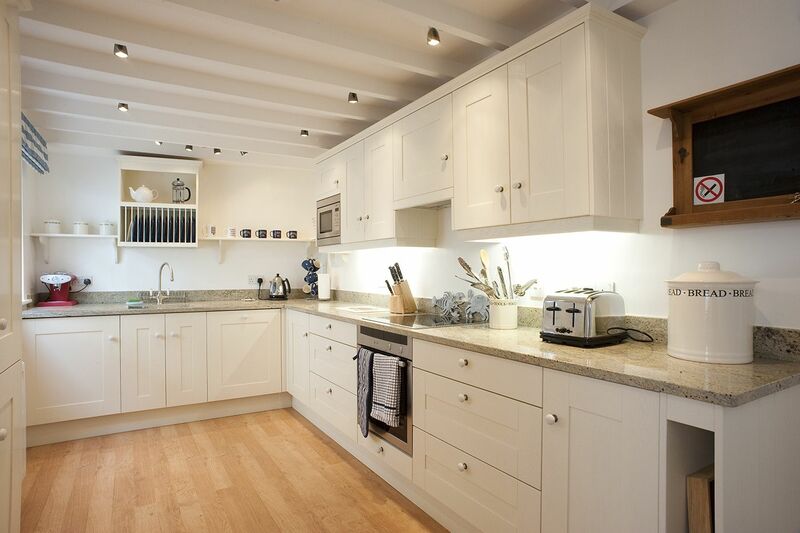 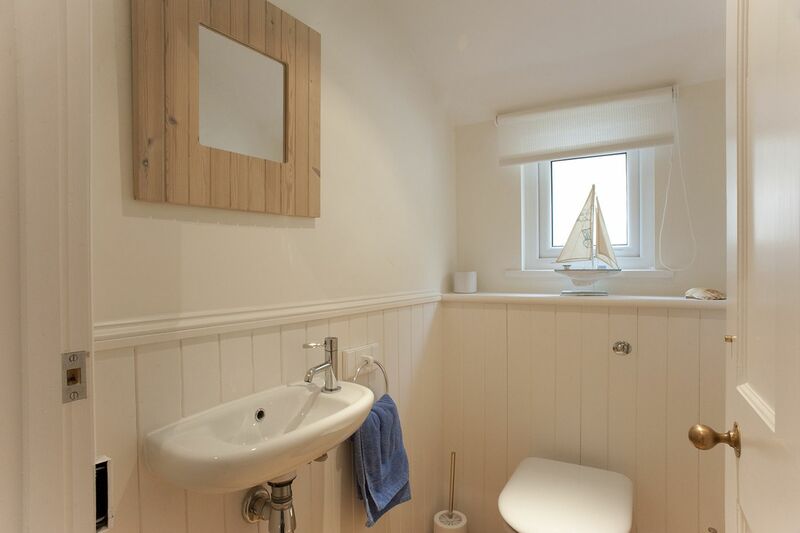 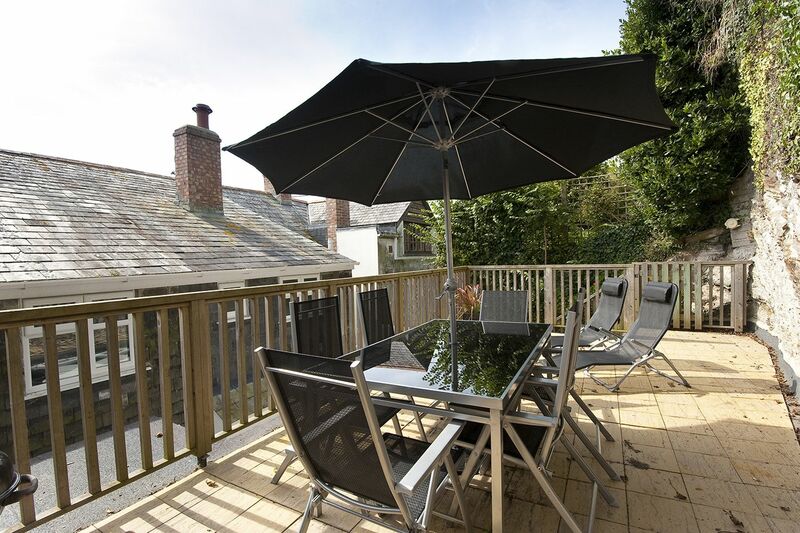 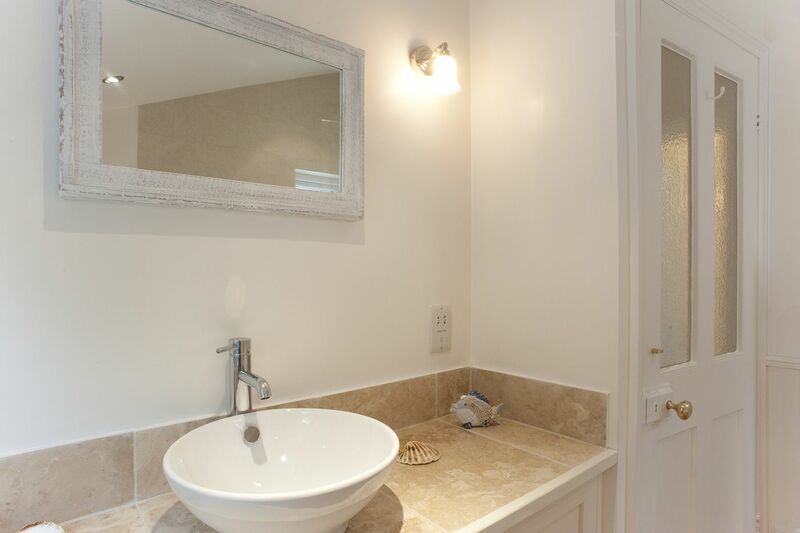 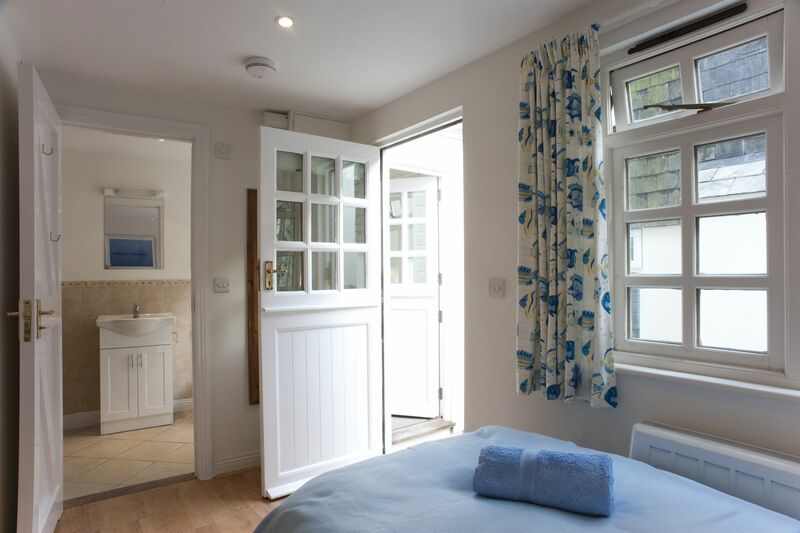 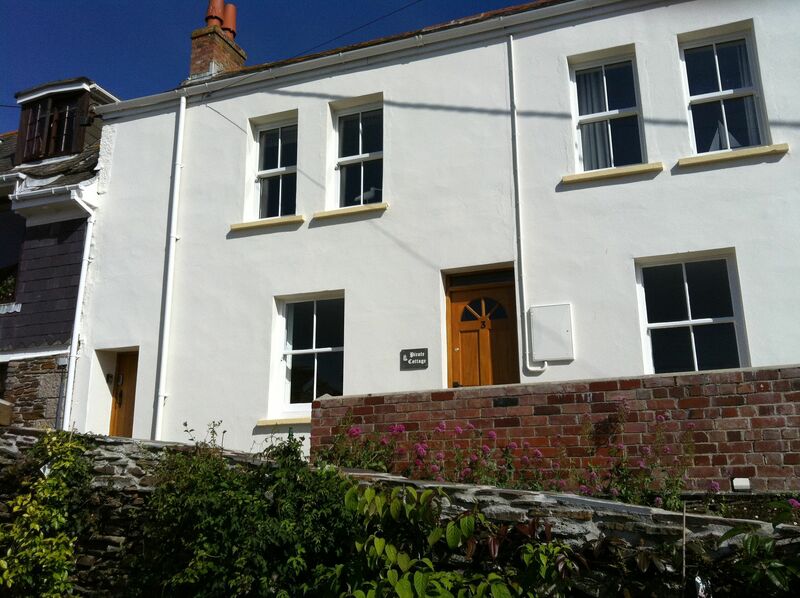 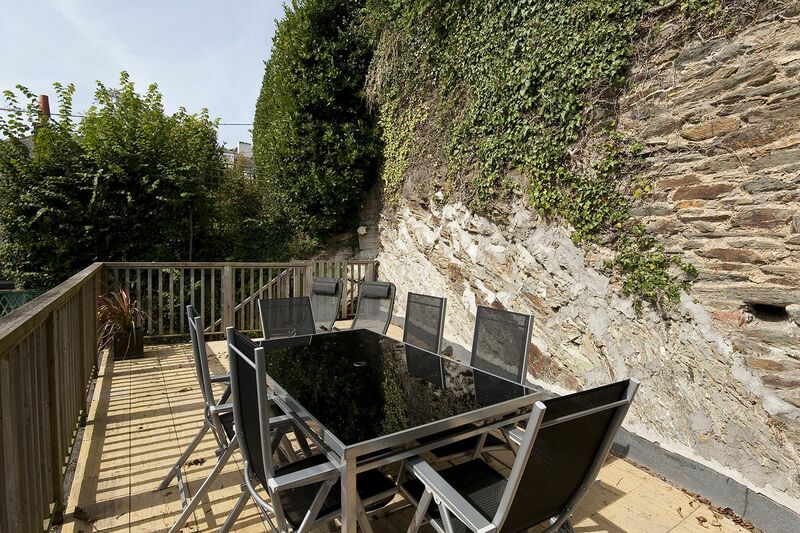 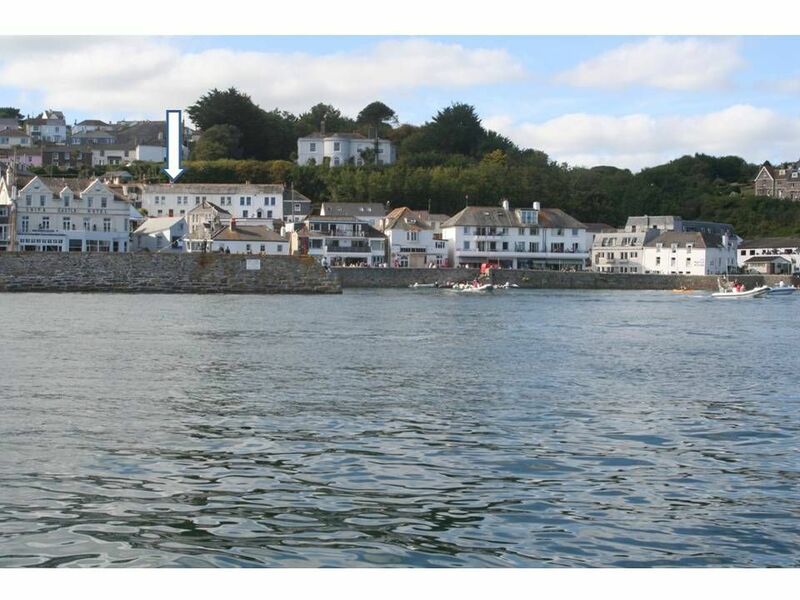 This holiday home is close to the village shops, pubs, restaurants and the quay. 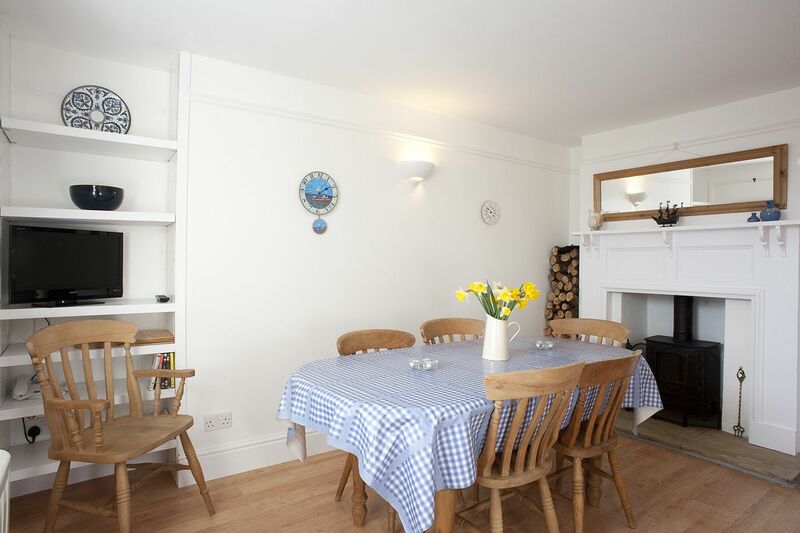 On entering Pirate Cottage, the dining room is on the left, dining table seats 8 people and there is a log burner. 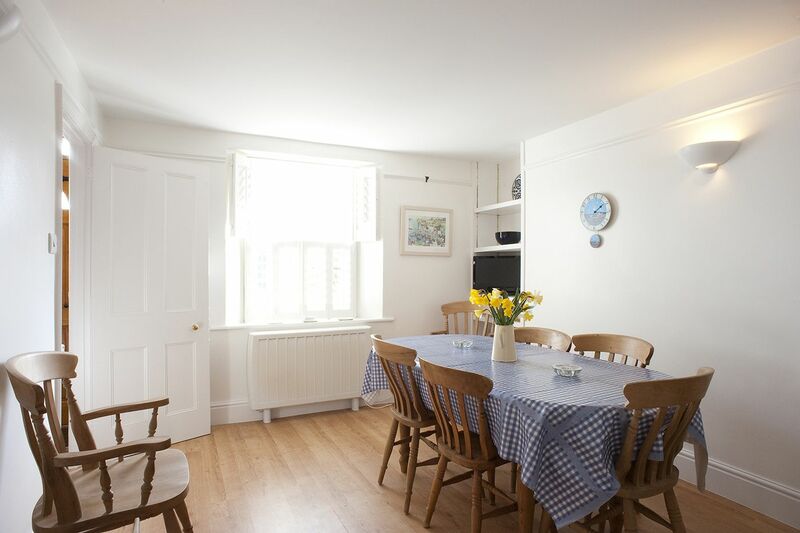 This room leads through to the very well-equipped kitchen, with fridge freezer, dishwasher, washing machine, microwave and breakfast table. 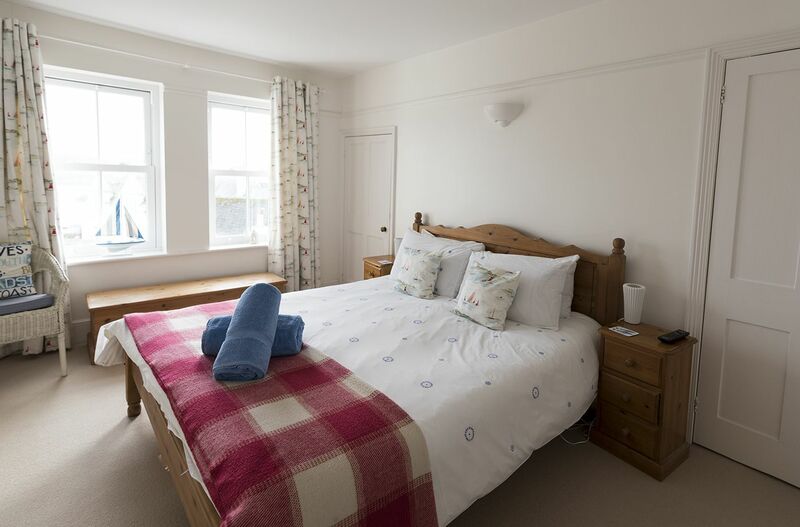 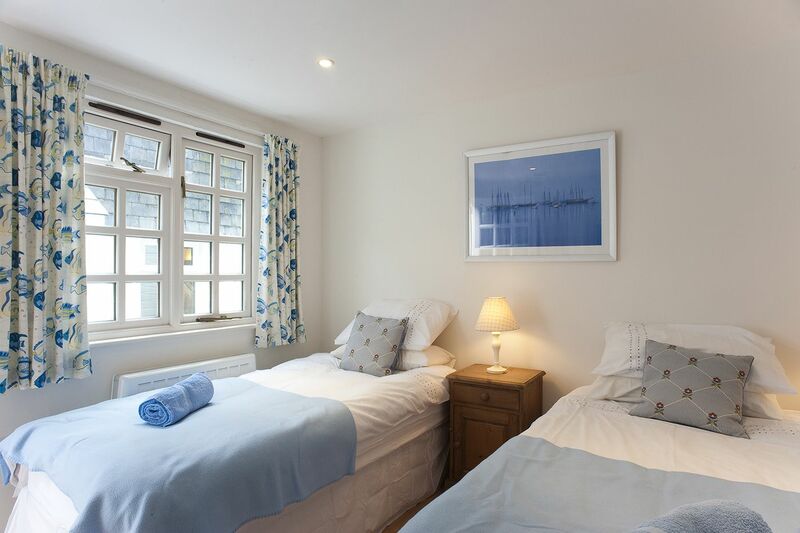 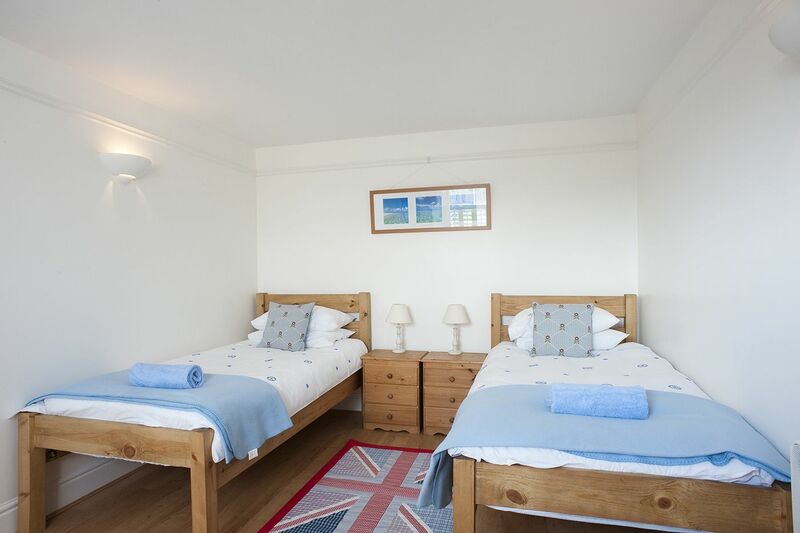 On the first floor you will find the master bedroom (king size bed) with great sea and harbour views. 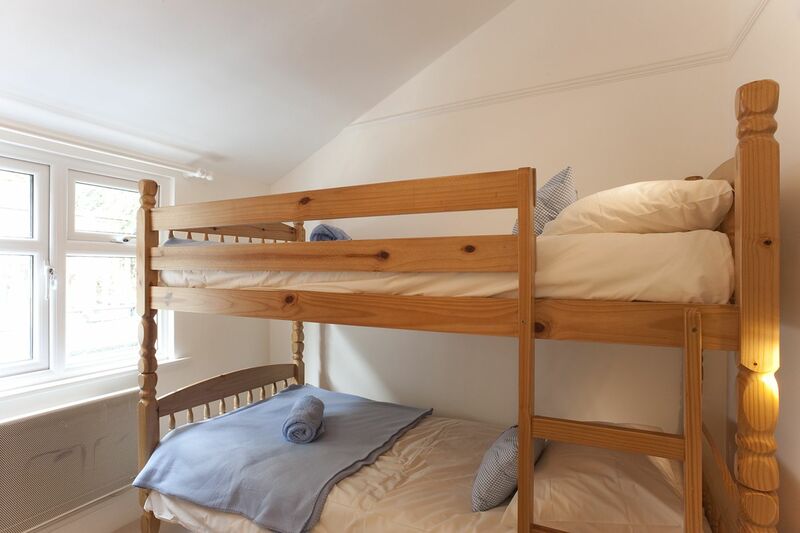 The third bedroom has children’s bunk beds. 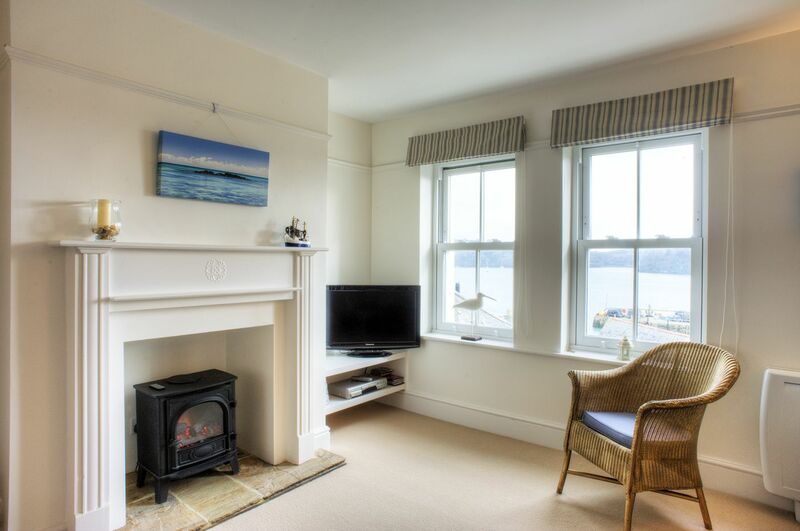 The lounge is also on the first floor which also has excellent sea and harbour views. 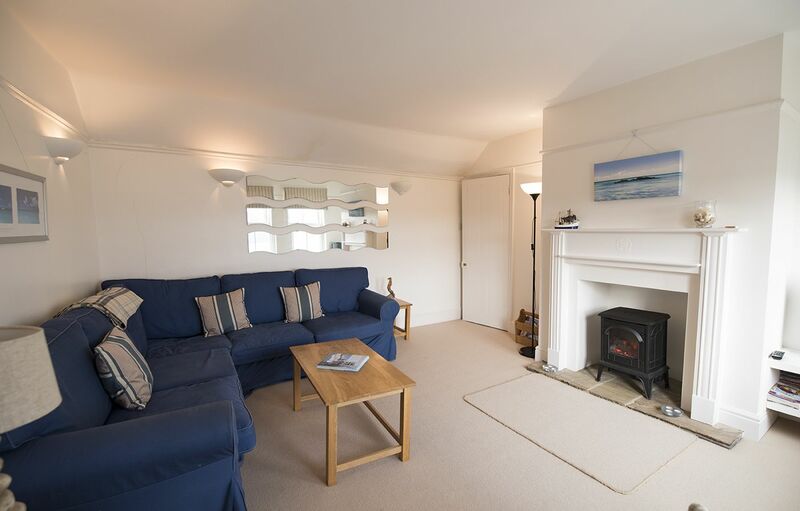 There is a large sofa, TV and WiFi, a log effect fire and games to play. 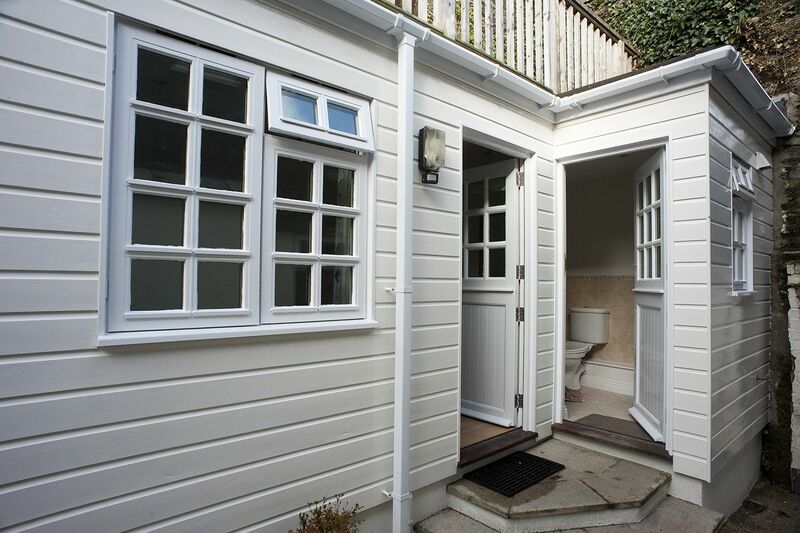 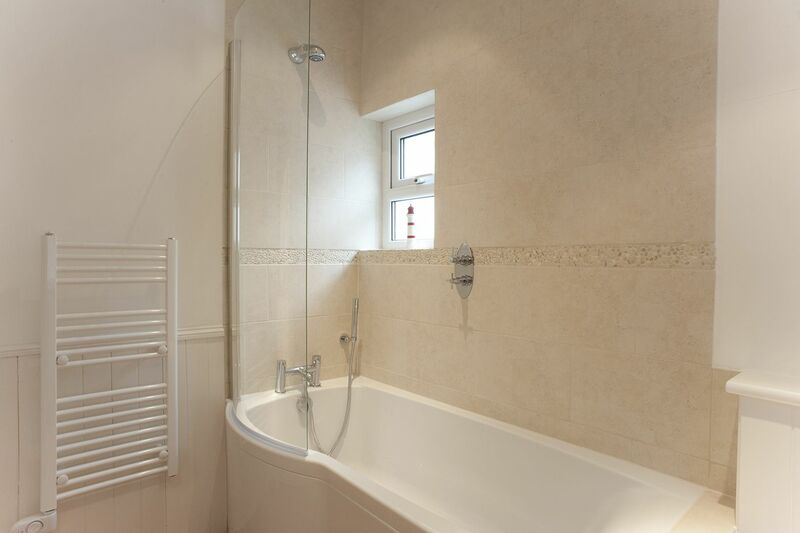 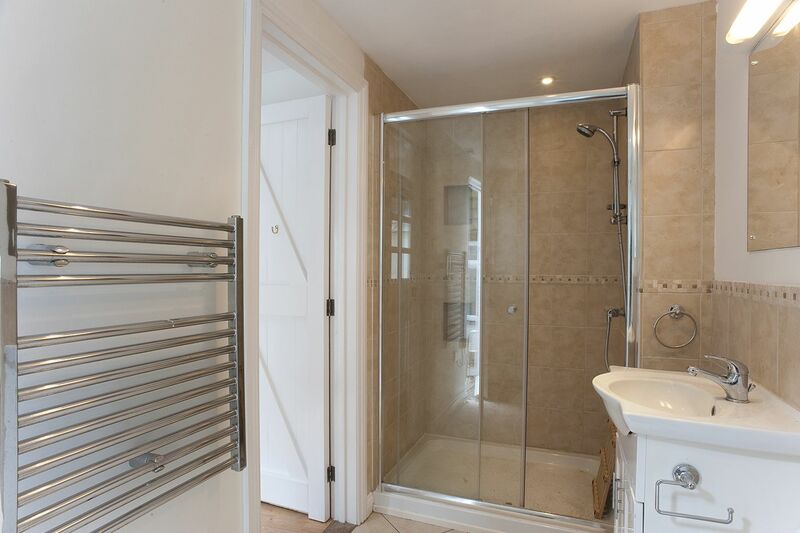 The annex at the rear of the property has its own entrance with twin beds, TV and shower room. 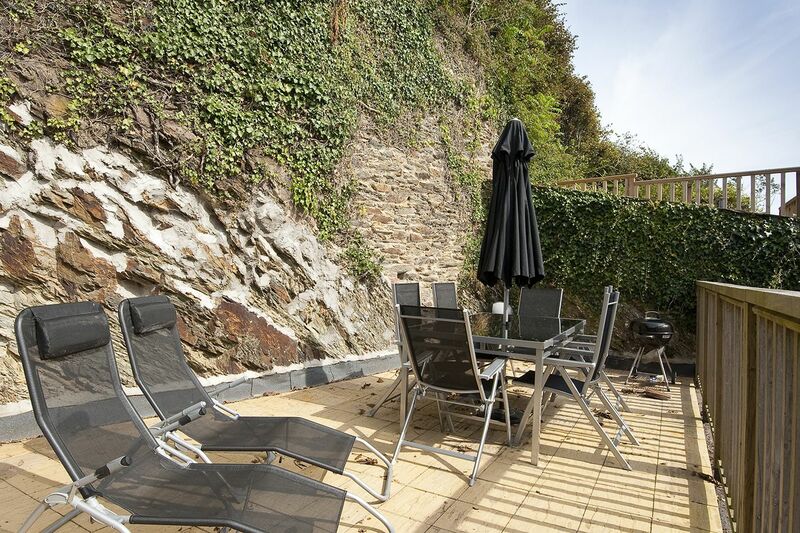 The access to the sun terrace with table and chairs is via steep steps.